I know I could never improve on the words that thousands of others have written today as we mourn the passing of Mr. Nimoy, but I do want to share my own experience with you this sad day, and I send you all my deepest sympathy. I blinked, my mind instantly thinking He’s gone. And I just said “I don’t know, can you check it?” My sister scanned her smartphone. She told me he had just died this morning. I sighed. We talked a little, put on the kettle and settled in for a good game of Scrabble. It’s been several hours now yet surprisingly, I haven’t shed any tears; at least not yet, for I think it hasn’t really resonated yet. Or it could be that I’ve been expecting this day more ever since Mr. Nimoy revealed his COPD last year? A lot of feelings are coursing through me. It’s a very sad day, of course, and like you, and anyone else reading this, I’m very sad. Sad for his wife and his children, grandchildren, and close friends. Sad for his surviving Trek friends and colleagues. Sad for the millions of his admirers around the world who loved him almost as much as one of their own. Sad that he ever took up smoking, and that he got so sick. Yet there is so much to be thankful for today too. Thankful for all the joy that he brought to the world. Thankful that I got to see him and hear that lovely speaking voice in person twice! Thankful for the laugh, those eyes, and his wonderful presence. Thankful that he passed at home and not in a hospital. Thankful that he left a great legacy of creative talent acting, writing, directing, and photography behind him. And so thankful that he brought to life one of the coolest, most unforgettable and most enduring characters in American pop culture. 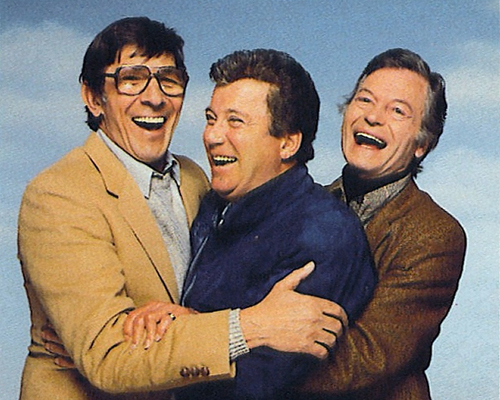 And then there is a part of me that feels almost relief — relief that the poor man is out of pain and now is breathing free in the heavens, and back with his parents and his dear friend DeForest Kelley. A lot of people felt a deep, deep affection for his character of Mr. Spock. I think it’s because Spock addressed the misfit in all of us; battling with both sides of his heritage as neither truly Vulcan or Human. How many of us as middle-schoolers identified with Spock because we looked different from the ‘regular kids’ or we weren’t the jocks or the cheerleaders but the awkward, geeky type? Spock served as a role model who said “Sure, I’m different, but I’m still valuable.” Spock also showed tolerance and compassion, two characteristics sadly lacking in many modern fictional characters. Leonard Nimoy will be so terribly missed and yet so fondly remembered, for he was so loved all over the world. He truly squeezed out every bit of life left to him to enjoy what every day would bring. He never forgot why he became famous, and was grateful to all the fans who first appreciated his talent and all that came after. We will never forget him. On a very personal note, the odd connection between this particular date, Mr. Nimoy, and my Mom brings me a sense of happiness too. How’s that? 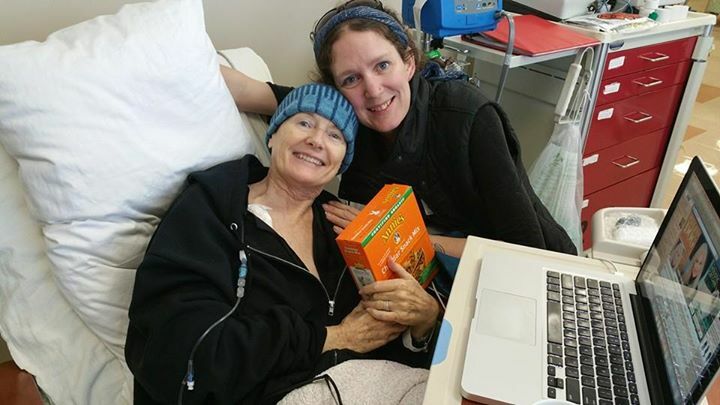 Well, when my Mom passed in 2013, I was quite devastated by her death and couldn’t imagine anything making me feel any better for quite a while. Only a few days into my mourning I received an e-mail from Symphony Space in NYC announcing that Mr. Nimoy would be there in person after a new performance of his play Vincent (with Jean-Michel Richaud). Seeing this suddenly lifted my spirits, and I was determined to go. A couple of my siblings wondered if it was right to travel 300 miles alone while my heart was still broken, but I knew I had to, and when I saw Mr. Nimoy right there in person, it filled me with a fan-girl glee that briefly erased my sorrow. I am even more thankful now that I decided to take the trip, and when Mr. Nimoy graciously let me get my picture taken with him, even though he was in a hurry, it just made me feel so alive again. So Grateful. By the way, my Mom liked Leonard too – not to the extent her teenage daughter did, but she thought he was a handsome, very good and caring actor. She also admired that he was a fellow Massachusetts resident (she was from Worchester). And remember the Scrabble game I mentioned earlier? When we were picking a letter tile each to see who’d go first, my letter — no kidding –was ‘L‘. Maybe it was Leonard saying hello? I smiled. Goodnight, Sweet Vulcan. Your legacy will truly Live Long and Prosper. For more wonderful links about Leonard Nimoy’s life, click here, here, here, and here. 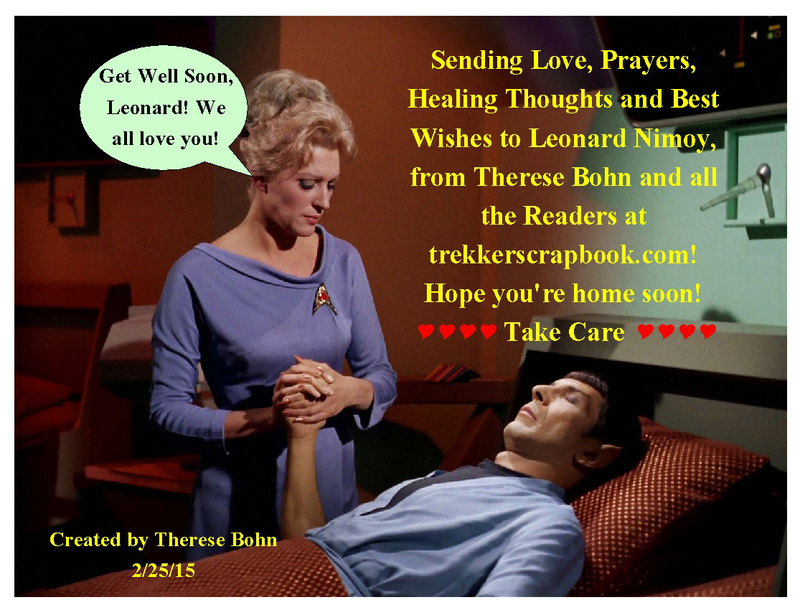 For Mister Nimoy, Get Well Soon! This was a wonderful portion of a documentary by the Yiddish Book Center’s Wexler Oral History Project. Filmed in 2013. Just beautiful, and a little sad, as Leonard speculates that Yiddish is a dying language. He also does a little Hamlet in Yiddish! Leonard’s Garden — and Yours. To everything, there is a season. And a time to to every purpose under heaven. Since his COPD diagnosis last year, he has kept to his privacy, but also became more insistent on urging others to quit smoking or never start. He doesn’t want anyone to go through what he and millions of others have experienced with the disease. It is another bloom in the garden of his amazing life. He has achieved so much in his time so far, as an actor, director, photographer, pilot, playwright, poet, animal lover, preserver of Jewish tradition and civic-minded citizen. Also a loving husband, father, Grandpa, and nurturing soul force of the little show that turned him into an icon. 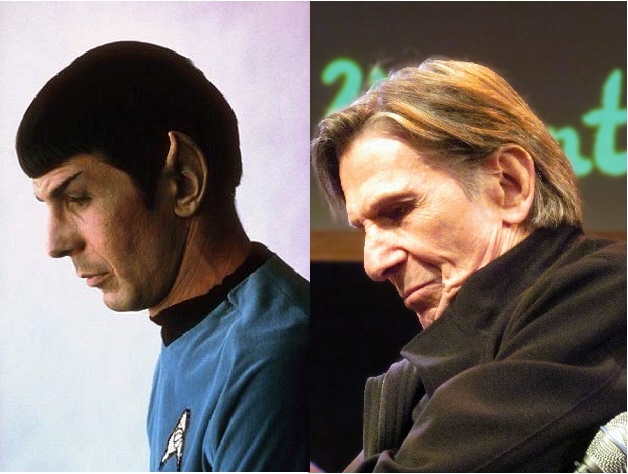 In many ways, he is Mister Spock in his endless quest to learn and explore, and that is a lesson to us all: Never stop exploring, learning, creating, and discovering what you can do with your life. Our life is short and precious. I always say that any day that you can get out of bed is a blessed day. Don’t waste another moment on the constant distractions the world throws at us. Unplug from the web. Turn off your I-Phone. Talk to someone face to face. Hug a friend. Make something with your hands. Plant your garden. Just LIVE and LOVE, for all we have is RIGHT NOW. We don’t know anything more at this time, but of course our thoughts and prayers are with Leonard, Susan, Julie, Adam, and all of his family. 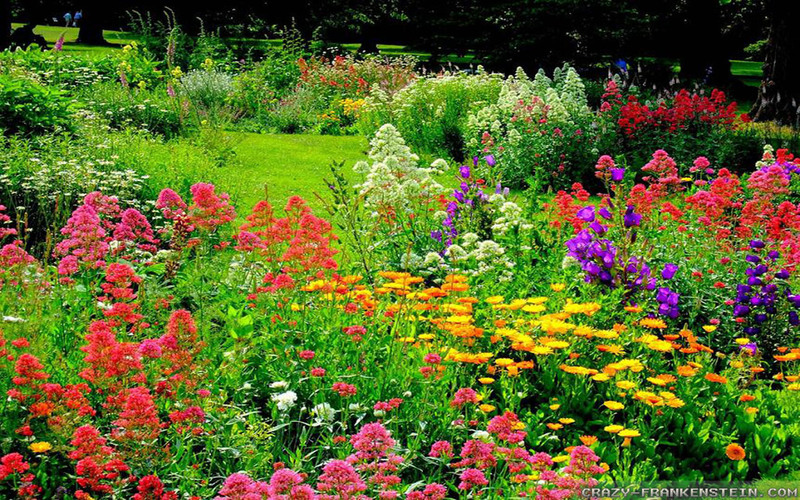 We send our grateful thanks for sharing his beautiful garden of life. LLAP. As I write this, the hero of my childhood, my major adolescent crush, a man I’ve never known personally but have loved for 40+ years is recovering from severe chest pains that happened last Thursday (February 19th). Leonard Nimoy is one of the most creative, passionate, caring, and most marvelous humans of the last century, and I am so thankful for all the little areas of my life he has unknowingly touched with his charm, intelligence, and that beautiful laugh. Mr. Nimoy is, of course, a very private man, and he deserves his privacy during this hard time. But I truly hope that he is aware of and surrounded by all the love of his family, friends, and fans. The fact that he is tweeting some of his poetry is his way of comforting us, and letting him know he’s still here. The Beatles sang the words, “…And in the End, the Love you take is equal to the love you make”. Leonard is a true Renaissance man. He has given so much of his love and soul to the world, and I know when the time comes for him to fly from this mortal coil, his love will be returned a thousand-fold. Let’s hope that’s still not for a while, for many hearts will break that day. But what a blessing to know such a man, if only through his work. The miracle is this The more we share… The more we have. Every year, Leonard has shared more and more of himself with his public; and he truly has more of that love back every day. 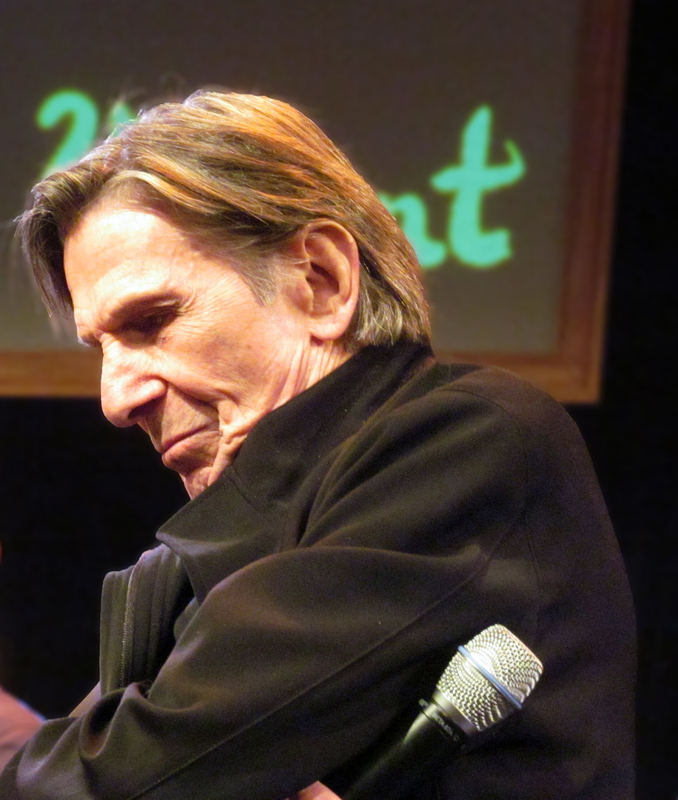 Leonard at the Q&A session of his play “Vincent” on June 15, 2013. Original Photo by Therese Bohn. Fan Euphoria! 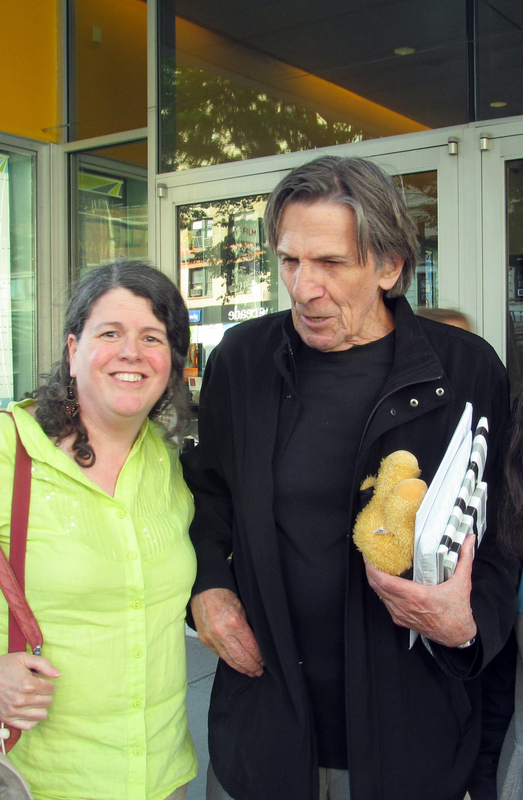 Therese Bohn (me) with Leonard Nimoy outside the Leonard Nimoy Thalia Theater at Symphony Space in NYC, June 15, 2013. 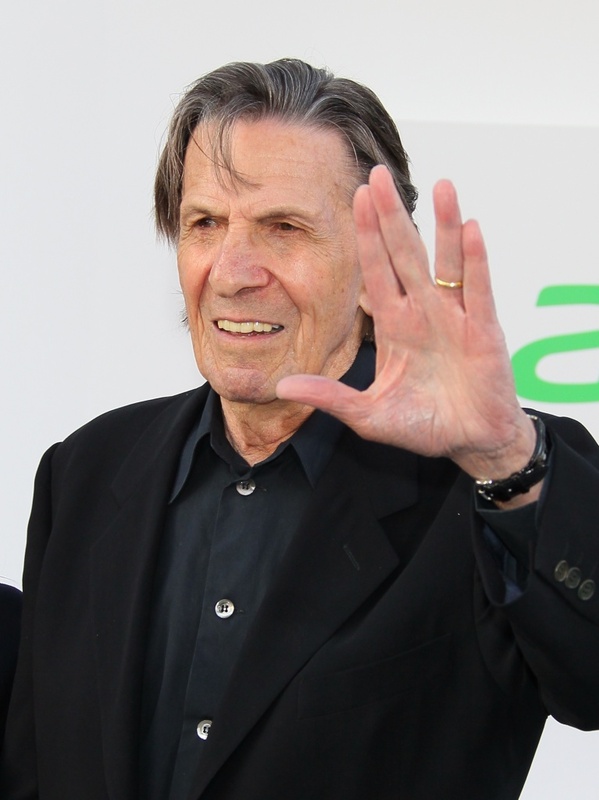 BULLETIN: Leonard Nimoy Hospitalized for Severe Chest Pains. Forgive me for not posting this earlier, but I just found this out. Our beloved Leonard was been hospitalized for severe chest pains last Thursday (2/19) — I noticed he hadn’t been tweeting much lately. Please keep him on your prayers and I truly hope he will recover well. Our love and prayers are with you, Leonard! Please take care!